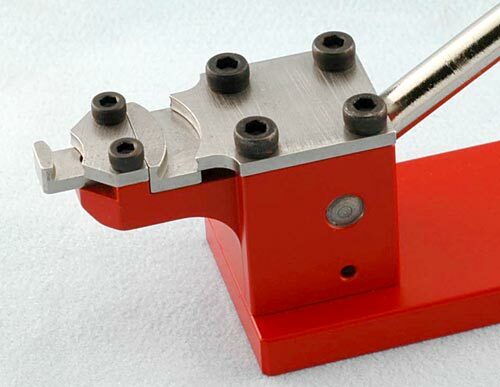 This is the top of the line spring bar bending tool by Horotec. If you don't own this tool, then you don't got the best. Tool with 110 mm lever allowing to easily curve some of the thickest spring bars. Used to bend spring bars for a nice curve. 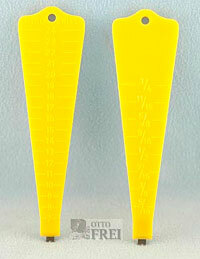 Equipped with 2 spring bar slots to give customize bending according to length without damaging the spring bar. 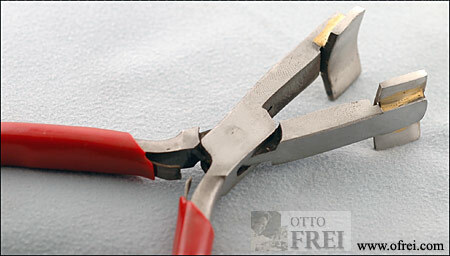 The diameter of the metal near the Fine Fork is the same measurement as those found on the better more popular FB-504 tool for spring bar removing, which measures 1.20 mm. 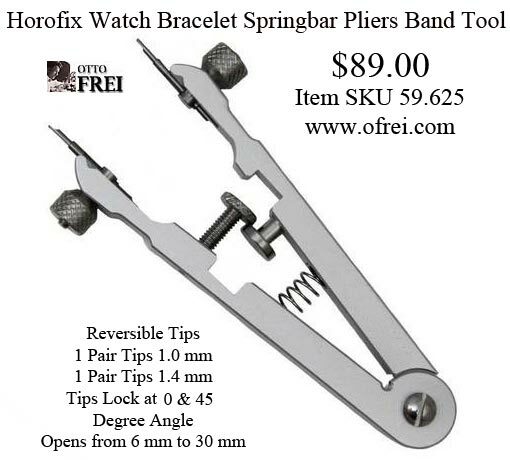 Reports for the field suggest that certain bracelets made by the Swiss brand with a crown in its symbol and staring with an "R" in its name can be removed by an experienced technician in spring bar removal. 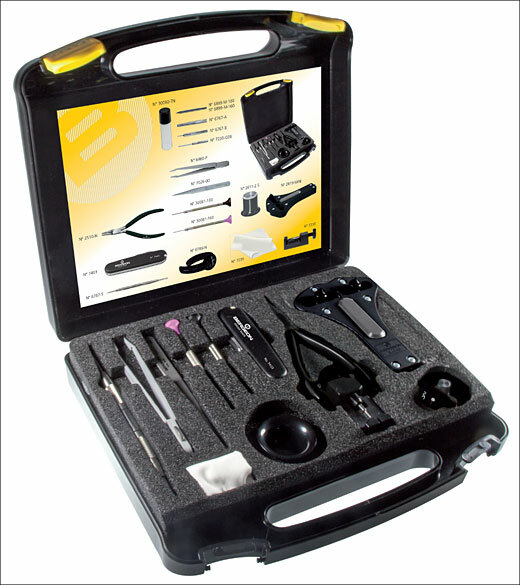 This tool is just another reminder of a known fact that no shop is complete without multiple tools available to handle what seems to be a simple task. Spare tips are available. Point Tip 0.80 mm for the 6767-F spring bar tool. 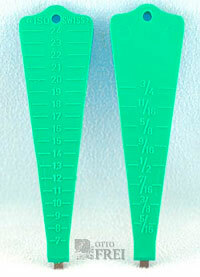 Small Fork Tip, 1.20 mm wide. New special knurled stainless steel body design gives the user a better grip on the tool. Has the wide fork tip 6767-A on one side and pin tip 6767-B on the other. New special knurled stainless steel body design gives the user a better grip on the tool. Has the wide fork tip 6767-A on one side and small fork tip 6767-AF on the other. New special knurled stainless steel body design gives the user a better grip on the tool. Has the small fork tip 6767-AF on one side and pin tip 6767-BF on the other. 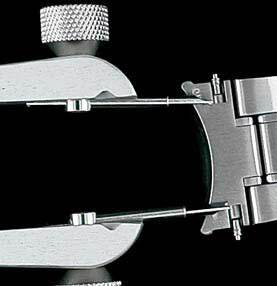 Size the watch case lug or the watch band with this tool. Length: 85 mm. 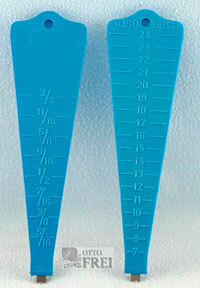 Graduations: 7 to 24 mm and 5/16" to 3/4". Equipped with a small fork to remove/install some spring bars. Blue in color. 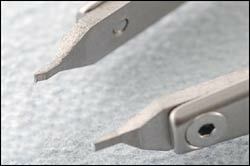 Size the watch case lug or the watch band with this tool. Length: 85 mm. Graduations: 7 to 24 mm and 5/16" to 3/4". Equipped with a small fork to remove/install some spring bars. Green in color. 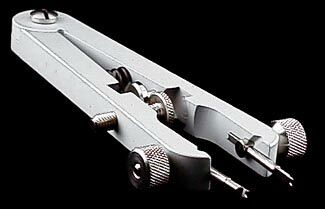 Size the watch case lug or the watch band with this tool. Length: 85 mm. Graduations: 7 to 24 mm and 5/16" to 3/4". Equipped with a small fork to remove/install some spring bars. Yellow in color. A lot depends on the person. I just googled "what spring bar tool for rolex"
I found lots of results as far as forums, you should try reading what others have wrote on the subject that own the watches. 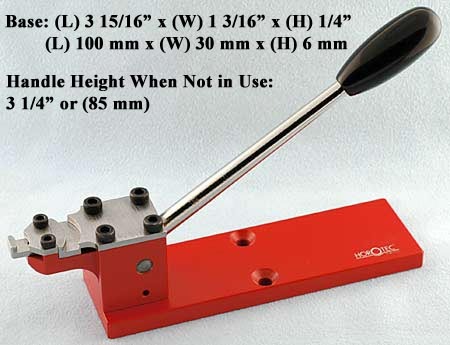 In my opinion everyone should own the FB-504 Swiss Made First Quality Spring Bar Tool which is the same tool from same factory as the Bergeon 6111 we also sell. 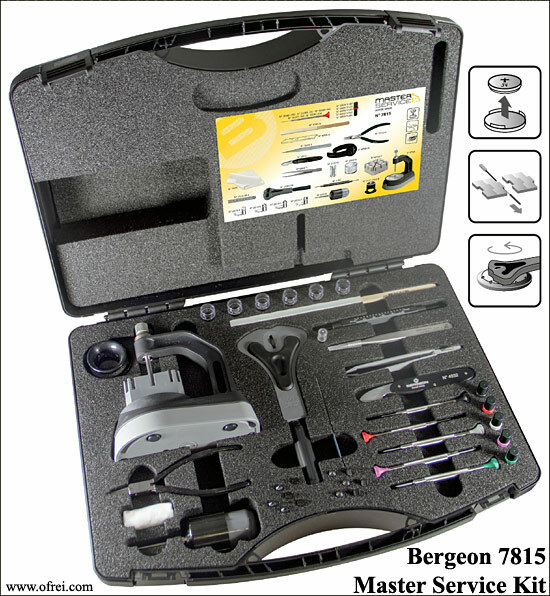 After that, if second tool is needed for the supper difficult tool job, then I would like to have the best I could with replaceable different size tips like those that can be found in the Bergeon 6825 line. As far as tweezers are concerned, good results seem to be the norm. 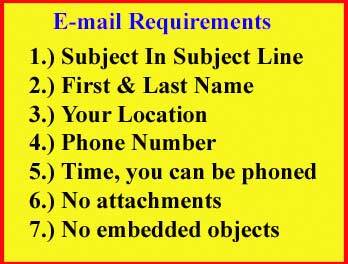 I haven't used them and cannot give personal opinion. 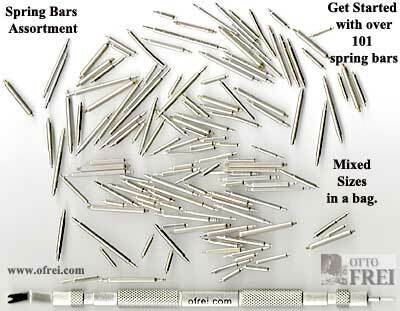 In fact in 40 years in the business selling tools, parts and supplies I have never removed the spring bars on a Rolex. Here one a forum on the subject of which tool that I looked at.